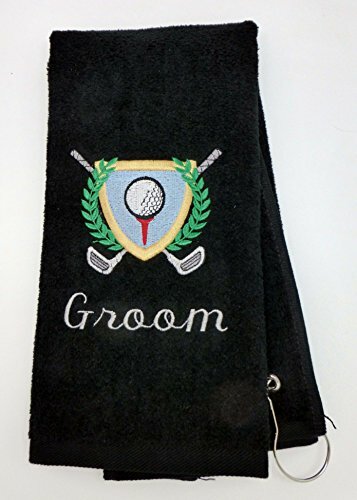 Embroidered personalized golf/bowling towel. 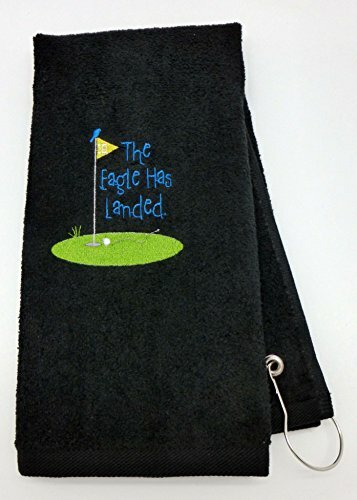 "Your Name" personalized under logo Available Towel Colors (Black, Green, Blue, White, Red) Towel measures at 16 in x 26 in Includes Grommet and Hook. 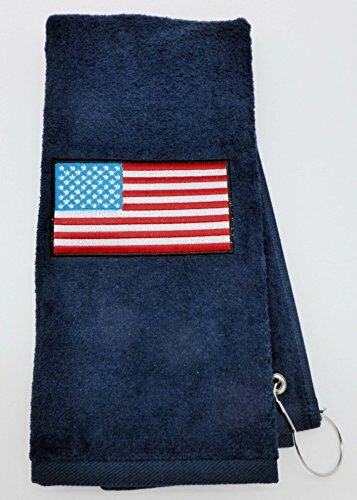 Font size, color and location of personalization may vary slightly from photo. 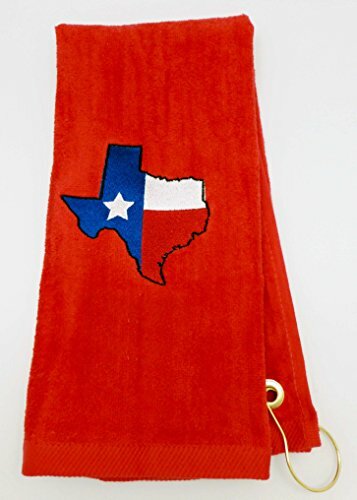 Spiffy Custom Gifts Embroidered Design Highlights this Handy Tri Fold Cotton Terry Velour Sports Towel. 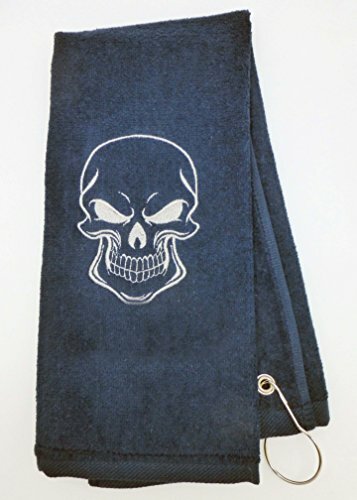 Great For Using on the Back Nine or at the Gym or Keep it Handy in Your Car. 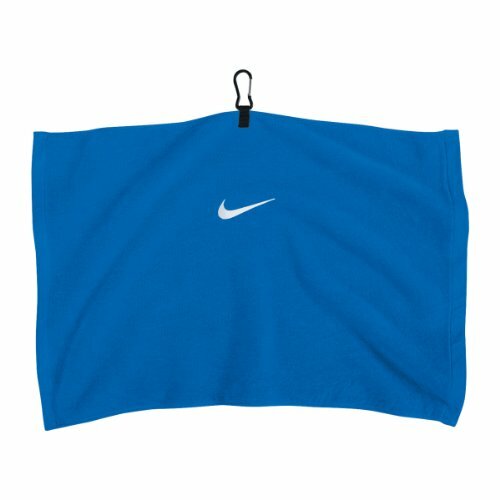 Quick Drying Cotton Towel. 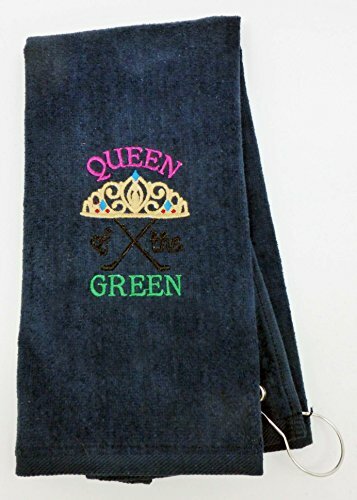 Embroidered personalized golf/bowling towel. "Your Name" personalized under logo. 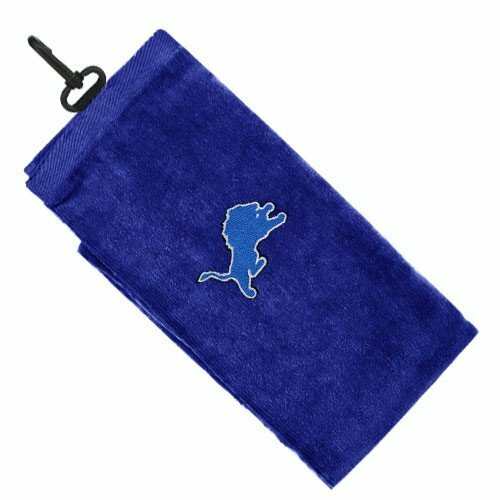 Towel measures at 16 in x 26 in Includes Grommet and Hook. 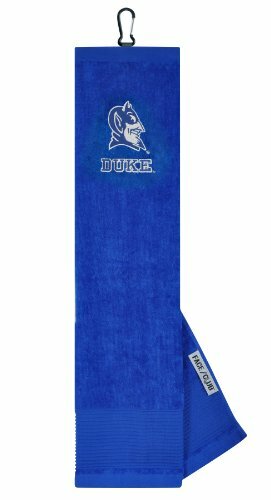 Font, size, color and location of personalization may vary slightly from photo.